Planter boxes are sometimes incorporated into green walls and green facade hybrid systems to increase plant coverage and density. A planter box system usually consists of boxes made from fibreglass, steel or another material, which contain the growing medium for the plants. The containers can be insulated to reduce water usage and plant heat stress. 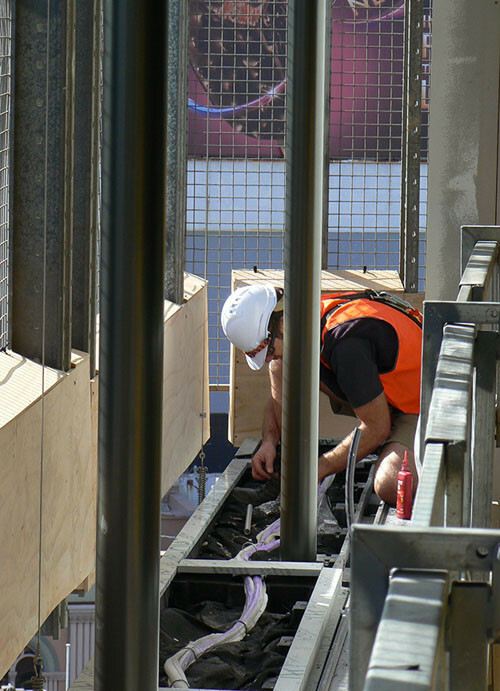 Brackets are used to fix the containers to the wall or to a frame made from stainless steel, timber or another material. A drip irrigation system may also be installed to ensure the plants get a continuous water supply. Plants grown in elevated containers have less soil volume and room for their root systems than those grown at ground level. This means the growing medium needs to be specially selected to suit. Planter boxes can be used for facades as well as green wall systems. Instead of growing all the plants from ground level, planter boxes are installed at different levels across the wall. 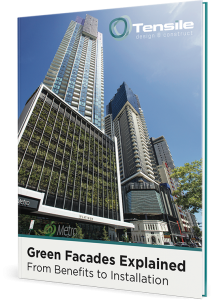 This allows for denser coverage and may be especially useful in a very tall facade, where growth at the top could become too sparse. 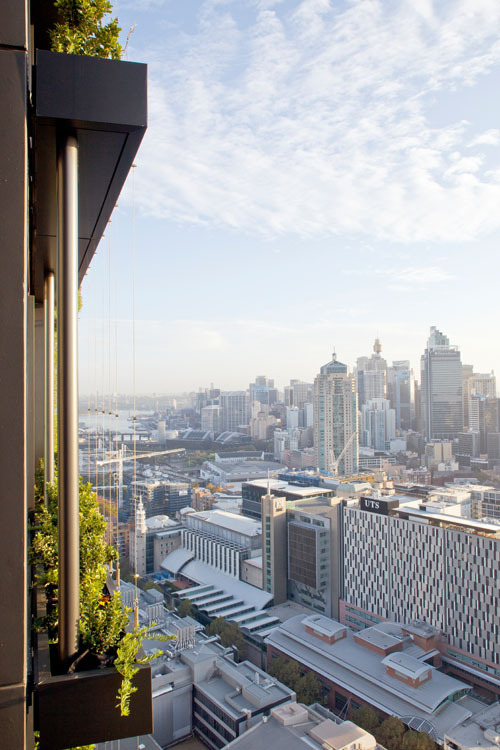 For example, planter boxes are interspersed throughout the 34-storey installation at One Central Park Sydney to enhance coverage. The hydroponic system that feeds the 35,000 plants is distributed from planter boxes and the base of the construction. Planter box green walls can be used to grow a wide variety of plants – including flowering and edible plants. It is important to be aware that elevated container plants are prone to drying out more quickly than those grown at ground level. This means drought-tolerant plants fare best – especially along a wall that gets a lot of sun. If you have a project involving the planter box approach, get in touch with our team for a discussion.